* INITIAL FREE CONSULTATION - All services and stage phases below will be discussed during this consultation. The process is simply explained for the client to obtain a clear understanding of all processes and associated costs. * ESTABLISH CLIENT BRIEF - Client requirements and budget. Once this has been established, we will send out a Fee Proposal, detailing the scope of works, associated fees, stage payments and general advise on the processes ahead. * FEASIBILITY STUDY - Site analysis to establish contextual justification for project, looking at scale, materiality, architectural style, local precedents. This stage is useful when the scope of the final scheme is unknown, either because the client is unsure of exactly what is best for the site OR it is not known if the Local Authority will approve the desired project concept. This document often forms part of the Pre-App (see below). * FULL DETAILED MEASURED SURVEY - This is offered as separate service. * DESIGN CONCEPT STAGE - This process is seen as an opportunity to explore each and every possible response to the brief and will be comprehensive in its creative, inclusive and illustrative presentation. * PRE-APPLICATION SUBMISSION - If it is felt that there at contentious elements to the proposal, we would advise this as the best route forward. Prior to any time and expense, spent on detailed design, a sketch proposal can be put together and submitted formally to the Local Authority for comment. Our practice will advise at this juncture. * PLANNING SUBMISSION - From lawful development, change of use, householder, full planning (minor & major developments). * BUILDINGS REGULATIONS / CONSTRUCTION DRAWINGS - Our practice has a team of extremely experienced technicians that are fully versed on current building regulations and are able to realise the project, from concept to the built form. * TENDER/ NEGOTIATED CONTRACT - We will advise as to the various procurement options and assist with negotiations and contract signing prior to works commencing. 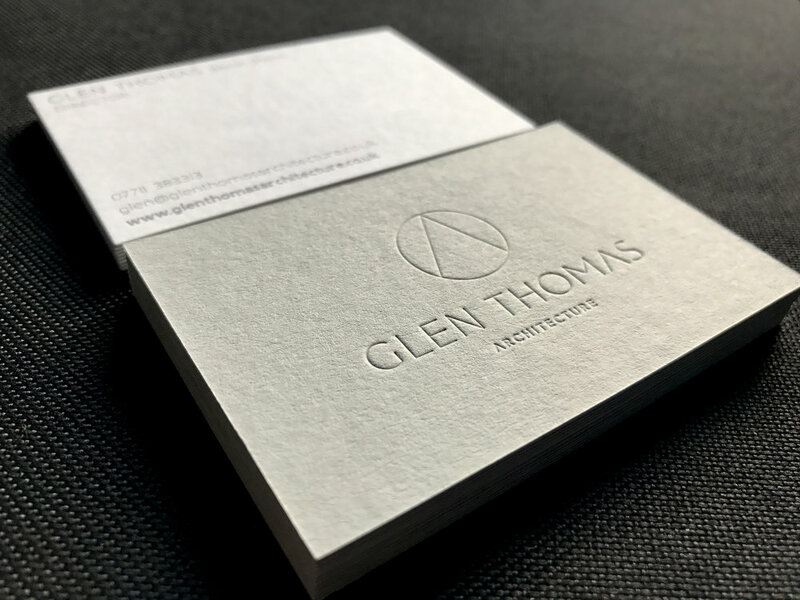 * PROJECT MANAGEMENT - Glen Thomas Architecture is able to offer a full project management service up to final hand-over and defects period. INSTRUCTING 3rd PARTY CONSULTANTS - We work closely with a team of Structural Engineers, Project Managers, Contractors, Joiners, Renewable Energy Consultants, SAP Cals, Building Regulations Officers, Ecology Consultants, Planning Consultants etc. and can recommend highly skilled and trusted companies, if required.